78, that's the page I've made it to thus far... of The Virgin Suicides. Recommended by a close friend back in Nebraska, who has also recommended The Bell Jar. 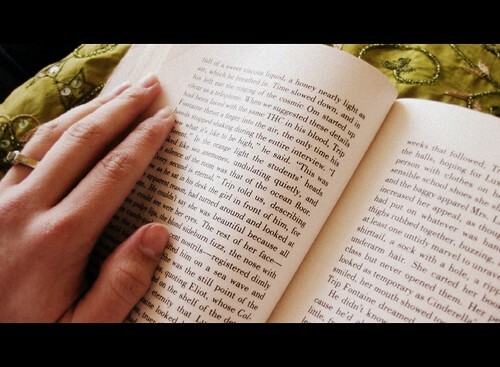 Do you ever have those moments when you are fully engaged into the world of reading novels? I think I have reached that point for the first time in my life. Thanks to Multnomah County Library and cold evenings, I'm currently reading three books: The Effects of Light, The Bell Jar, and alas The Virgin Suicides. I've been this way about art and design books in the past and now novels have taken their role. I think I'm becoming a book worm, seriously. I look forward to when the day grows to an end, throwing the tea kettle on the stove and sitting on my comfy chocolate suede couch, sipping and reading. Speaking of tea... over the weekend a friend and I made a drive up (in rush hour traffic I might add), to Ikea. I purchased two sets of these darling mustard colored coffee cups and saucers, they are perfect in every way. I'm a little persnickety when it comes to mugs. Anyway, back to the Virgin Suicides, I had watched the film years ago... visually it was beautiful, with warm colors and sun bursts. Now absorbing the story in another media... the words of Jeffrey Eugenides is so extraordinaire. I am fearing the melancholy ending, I know it's not very pretty. I remember turning my eyes away from the television and asking whoever I was with to tell me when that scene was over with. The soundtrack lives in my music library, I highly recommend listening to it. Anything that has to do with French music duo, AIR grabs my attention. On a side note, I hopped on over to Wikipedia and learned that, "The name AIR is a acronym for Amour, Imagination, Rêve which translates to Love, Imagination, Dream." Interesting. Lastly I discovered a nice Flickr group tributed, take a look here. I'm interested to hear your experiences relating to the film and novel, feel free to comment about them.